Very awesome! Kind of Millerish but in the very good way! Love it when you use Black, White, Red!!! Did you see the CBR interview with Brian Reed? Embedded looks awesome, as usual. Awesome! Adding the red was a great idea. 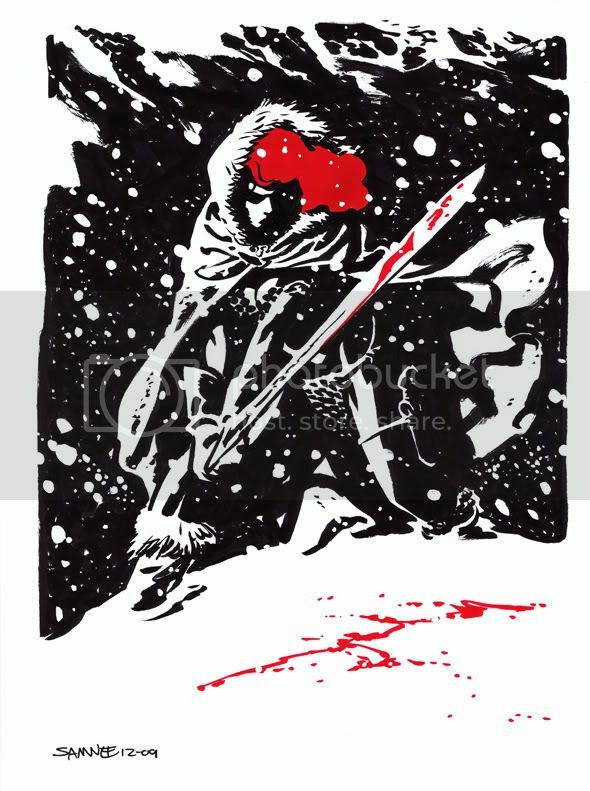 The blood against the snow makes for a great visual. I love your crazy noir stuff when you put in ust a little bit of color. Good show, old man! Absolutely stark and stunning, Chris. The red really pops and enhances was it already a very rich visual. The wind effect is also very, very well done. hot DAMN! i love it. unsurprisingly.